The Supreme Court has reserved its verdict on the two petitions filed by BJP leader Subramanian Swamy and parents of the victim of the December 16 gangrape, challenging the constitutional validity of the Juvenile Justice (Care and Protection of Children) Act 2000, which sought fresh interpretation of the term 'juvenile' in the statute and leaving it to the criminal court, instead of Juvenile Justice Board, to determine the juvenility of an offender in heinous crimes. According to the victim’s father, the verdict delivered by the Juvenile Justice Board on August 31, 2013 was not acceptable to the family and therefore they filed the petitions, challenging the Act, as there is no other authority, which they can approach for such relief. A direction to declare unconstitutional and void the Juvenile Justice Act was also sought by him, to the extent it puts a complete prohibition on the power of the criminal courts to try a juvenile offender for offences committed under the Indian Penal Code. Counsel for the victim’s father, AmanHingorani suggested before a bench headed by Chief Justice P Sathasivam that the judiciary is left helpless when it comes to the provisions in the Act because the proceedings of the Board rather than carrying out the trial, functions merely as a fact finding inquiry body. He further stated that it was very important to consider the mental and intellectual maturity of the juvenile involved in the December 16 gangrape and like the four other accused who have been awarded death sentence, he should also be put to trial. The Centre opposed the plea by submitting that bringing a juvenile for criminal proceedings before a court would amount to retrial of the minor. But according to the victim’s counsel, it would not be considered as a retrial, since the proceedings before the Juvenile Justice Board was a fact finding inquiry, making the minor, who was six months short of 18 years. However, Additional Solicitor General SiddharthLuthra, contended that judicial flavor is not lost in the Juvenile Justice Board proceedings and it is a valid consideration to fix the age limit of 18 years for not trying a person in criminal court, this consideration being based on research worldwide, opposed this plea. 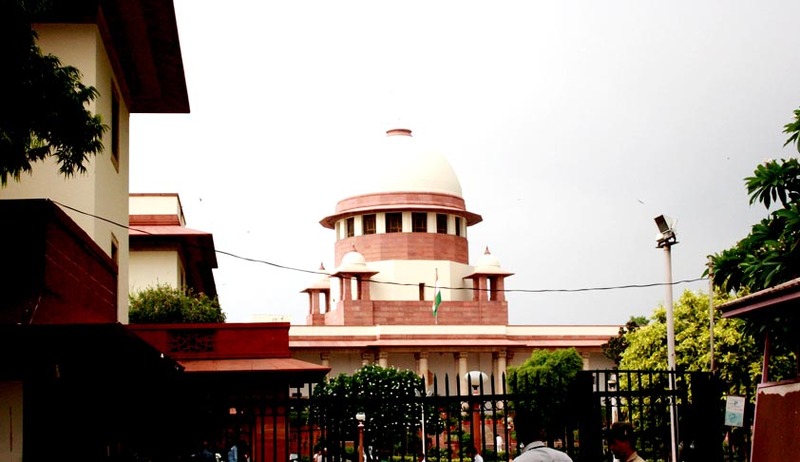 On being asked by the Supreme Court bench which also comprised of Justices RanjanGogoi and Shiva Kirti Singh, that whether the Centre treats Juvenile Justice Board as a tribunal, the ASG said, that the Juvenile Justice Board functions like a court and the nature of the proceedings in the JJB is not of argumentative litigation and the Act is a favorable legislation. The bench had yesterday concluded the arguments on behalf of Swamy who sought fresh interpretation of the term 'juvenile' in the statute, saying the Act provides for a restrictive interpretation of the term 'juvenile' that a person below the age of 18 years is a minor and it violates the United Nations Convention for the Rights of the Child (UNCRC) and Beijing Rules on the issue, which say the presumption of the age of criminal responsibility be fixed while bearing in mind the mental and intellectual maturity of the offender. The petition which referred to the trial court verdict by which four adult accused were convicted and sentenced to death and sought similar trial for the then juvenile offender, who has now turned major, was filed by the victim’s parents, which contended that the juvenile is liable to be tried and punished by the criminal courts for the aforementioned offences, complete with the judicial prudence on established principles of law regarding the award of sentence considering, among other factors, the nature and severity of the offence.